All Cotter chess teams have placed in their tournaments this season during competitions at the OUR Educational Cooperative. Cotter Elementary placed second, Cotter Junior High placed first, and Cotter Senior High placed third. Logan Principato placed second overall individual in junior high, and Tucker Coots placed third overall individual in senior high competition. 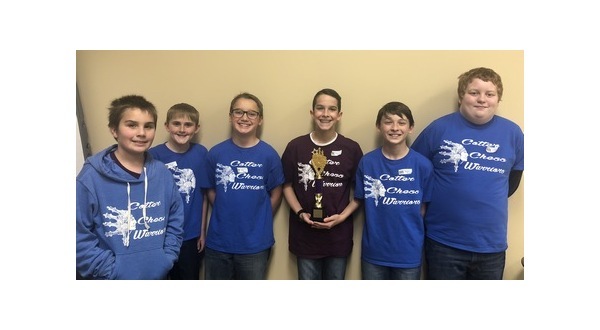 Cotter chess teams are coached by Justin Benham and Lisa Coots. Photo (left to right): Elementary team members Gregory Smith, Trevor Lewis, Cole Principato, Ryan Benedict, Brayden Adams, and Luke Duggins. 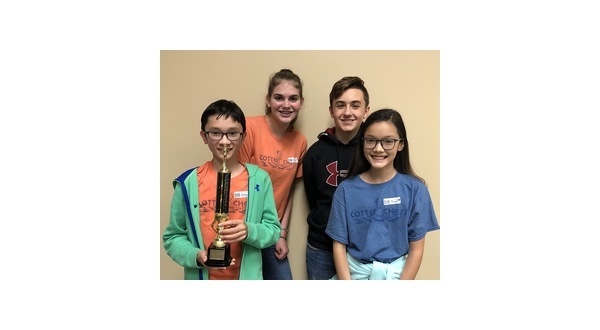 Photo (left to right): Junior High team members Ethan Sexauer, Kate Cheek, Logan Principato, and Paige Sexauer. 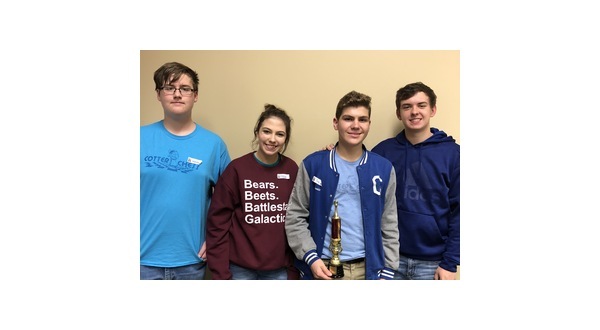 Photo (left to right): Senior High team members Wyatt Smith, Ashley Kittler, Cole Stevenson, and Tucker Coots.